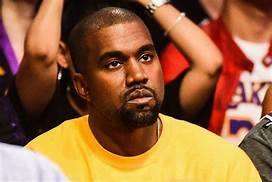 Black Twitter was ablaze and much of Black America was enraged after a meeting between Kanye West and President Donald Trump in the Oval Office with critics blasting Yeezy as everything from a victim of bi-polar disease to a sell-out. But there is more to the Oct. 10 encounter between a president largely reviled by Blacks and the outspoken rapper who said on live tv, “George Bush doesn’t care about Black people,” over the disastrous federal failure in New Orleans during Hurricane Katrina. I believe this article established one of the main issues in society. People often berate others for dissenting opinions; however, being able to appreciate differing ideas is a large part of living in a flourishing society and innovation. Without contrasting mindsets, no ideas would ever be challenged, no theories would ever exist, and innovation would not occur, causing society to lack productivity. Often times we view eccentric things and ideas as negative just because they aren’t common or we don’t agree, which is a mistake. Essentially, in order to truly be innovative and understand certain topics from different perspectives you must appreciate and consider not only the popular opinion but also the eccentric opinion.